in Church Choir, their father being the Choir Director at the local church. Danny’s first of many Classical Concert Recitals took place at the age of five, the very same year winning the bronze medal in his first Musical Theory and Performance Competition, beating many fellow pianists double his age. Three years, and half a dozen concert recitals later, at the age of only 8, Bedrosian would win the gold medal at the same competition against competitors raging from the ages of 5-19 years old. In the years ahead until he was 18, Bedrosian would play in dozens more Classical Concert Recitals amongst his peers playing pieces by composers such as Khatchaturian, Bartok, Beethoven, Sanucci, Bach, Tcherepnin, Grieg, Vandall, and many more. Danny’s interests in jazz and R&B began at the age of 10 amidst his classical studies as well, as he played keyboards and sang in various local Latin, Metal, and Hip Hop Groups. The first group he fronted won a local battle of the bands, and sparked Bedrosian to consider a deeper move into the industry. Since the age of 11, Bedrosian had been moved more by the P-Funk than any other group, and aspired himself to start what would eventually be the 18-piece New England based, super-funk group Sweet Motha’ Child. From 1998-2003 Bedrosian was the Band Director, Keyboardist, Lead Vocalist, Arranger, Manager, Booking Agent, Frontman, Lyricist, and chief songwriter of the successful group. Under his reigns, Sweet Motha Child would release six albums, and Bedrosian’s production company handled album production and release for various projects in the New England region. He also played in other groups, worked two jobs, and was attending The University of NH, becoming, of all things, a Historian of Middle Eastern Studies. Between the ages of 16 and 20, Bedrosian met and befriended his longtime musical favorites in George Clinton & Parliament-Funkadelic. Upon these meetings, Bedrosian would go to FL for a week to do session work for Clinton. He would be asked to do the same for Bo Diddley months later, but Bedrosian, driven by the need to finish what he started both financially and educationally decided to graduate college first. 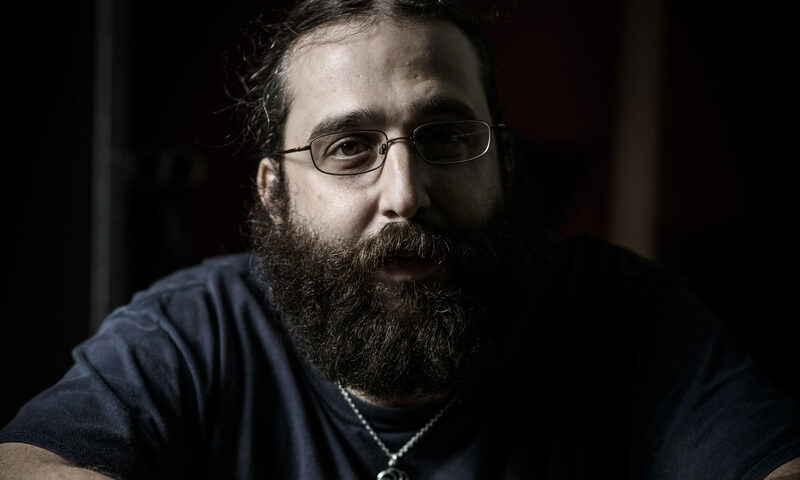 Upon receiving his degree at the age of 22, and now a certified Historian of Middle Eastern Studies, Bedrosian left the leadership of SMC with his sister Elise, and moved to Tallahassee, FL in an attempt to land a full-time job with the P. He and keyboardist Jerome Rodgers worked diligently for months with bands and in the studio, and Rodgers landed Bedrosian a job as keyboard tech for George’s keyboardists. Within months, Bedrosian was brought into the fold as full time musician in the band, and has played all over North America, The Caribbean, Europe, Australia and New Zealand with P-funk. He is now featured on a handful of Live Pfunk releases, Pfunk albums and spinoff albums. His credits include Executive Producer for Jerome Rodger’s debut album, and appearances on the BET 25th Anniversary Spectacular, The Tonight Show with Jay Leno, and Last Call with Carson Daly. Bedrosian also has played keyboards for Pfunk offshoot bands such as The 420 Funk Mob, Divadelic & COP, Drugs, Cacophonic FM, GCIII Varsity Squad, and The Church of High Voltage. He released his debut solo album in September of 2005, and has received great reviews from the world over. Aside from the recent release, Bedrosian is currently CEO, Producer & Engineer of his Production and Publishing Company BOZFONK, is working with other artists ‘ projects, both in and outside of Pfunk, is the current keyboard player for Tallahassee funk act the Soular System, and is writing an historical ethnology of Ancient Tribal Armenia. At 25, Bedrosian continues to win new fans as well as respect in the world of music. Danny continued to score with multiple releases on his BOZFONK MOOSICK production and publishing label, in conjunction with WEFUNK South, which Bedrosian also is head of operations. Albums by Som’n Fierce, MoonChild, Secret Army, The Soular System, Asphalt Panda, Teresa Jimenez, Clonin the Wheel and Sweet Motha’ Child have come out on through Bedrosian’s work with these two aforementioned companies between 2005 and 2009. Bedrosian is key in the administrative aspects of the company including, but not limited to: Writing, Producing, Performing, Playing, Singing, Programming, Engineering, Managing, Promotions, Advertising, Marketing, Street Team ringleader/recruiter, Web team, Art Dept, Photography Dept, Publishing, Radio blitz team, Music education, arranging, Press, and much more. Aside from administrative duties, Bedrosian continues to stay busy, currently playing in 10 bands live, and working on 10-15 different studio projects fiscally. In October of 2008 Danny played keys for the special George Clinton and the Gangsters of Love Halloween performance featuring RZA on the Late Show with David Letterman. Danny also performed with George Clinton, P-Funk, and Sly Stone at one of the inaugural balls in Washington DC for President Barack Obama. In 2009 Danny Bedrosian’s Secret Army opened for George Clinton and Parliament-Funkadelic, with Danny handling double duty in cities from Boston to Orlando. Danny also expanded BOZFONK MOOSICK and WEFUNK SOUTH in the beggining of 09, by working with more new and established artists and bands than ever before. Danny toured South America with George Clinton and P-Funk in 2009 as well, making his way onto CNN South America and every South American newspaper due to the hype of the band coming down there. He also established important ties with associates in Buenos Aires. Less than a month later, Danny also played the island of Le Reunion with P-Funk, in the middle of the Indian Ocean; He also played multiple solos with the group at the Tokyo Jazz Festival in front of 85,000 people in Japan. He also had his debut tour with his band Secret ARmy up and down the east coast of the United States. At the request of the modern American scholar, academic Cornell West, Danny was among the members of the P-Funk along with George Clinton of course, to perform on the Mo’nique show on BET later that year. It was among the band’s best performances of recent years. In 2011, at the repeated request of the academician Dr. West, Bedrosian joined Clinton for a third appearance beside the esteemed professor and author on the Late Late show with Craig Ferguson. The appearance commenced with 6 weeks of heavy touring in Japan and the United States, followed by upcoming return trips to South America and Europe, culminating in Bedrosian’s longest consecutive tour with P-Funk yet, clocking in over three months, and four continents, and about 11 nations in that time period. His production work likewise has expanded to over a dozen artists, bands and groups for Bozfonk Moosick alone. New albums produced by Bedrosian came out left and right quite recently, from Natalie Scott in Colorado, and John Deming in NYC, with productions in New Zealand, Russia, the U.S. and the U.K. rounding out the constant work. His clients include Travel Channel’s Ghost Adventures television star Nick Groff, who grew up with Danny, and the two of them conceptualized an album of high acclaim and sales, including a spot on the Ghost Adventures show itself in a 2012 special episode. The works have reached further heights, as Nick’s first and second album, both with ferocious contributions from Bedrosian were released simultaenously in the same year. Nick and Danny have expanded their operations to include a live band that plays their collaborative music, as well as an expansion into their production forays to include music from upcoming hit sensation Less-on, a rapper from Chicago. Within the framework of BOZFONK MOOSICK, Bedrosian is overseeing 11 new releases between 2013 and 2014 from the publishing and production company. In 2014, Bedrosian had been on four international tours, and multiple domestic tours with Clinton and P-Funk as the regular keyboard player (in his eleventh year with that title) that year alone: appeared playing at the Michael Jordan invitational, along with T-Pain as well, and also appeared on the upcoming reality show, “the Clintons”; Bedrosian was also seen soloing and bandleading the mob in an episode of the widely popular History Channel Show “American Restoration”, where Mr. Clinton’s old piano was restored, Bedrosian playing the said instrument on the program. Bedrosian also has had a successful Secret Army tour in early part of the year, and and two more in the latter half of the year, focusing on the regions of the Northeast, West Coast, Colorado, and Russia. Bedrosian and members of Secret Army spoke at Berklee’s very important ‘I Stand Because” initiative, the first of it’s kind. He continues booking and playing new shows for that influential group, which includes another trip to Australia coming up. Danny Bedrosian was featured as a singer, sitting in with the Roots on the Tonight Show with Jimmy Fallon, in promotion of Mr. George Clinton’s new book, which Bedrosian helped write the acknowledgements for as well. In addition, the newest P-Funk release, Funkadelic’s “First You Gotta Shake the Gate”, featuring Bedrosian on 19 of the albums upcoming 33 tracks, is a major milestone in his career, this being the first Funkadelic album in 33 years; It features some of P-Funk’s most notable stars and many more great musicians and artists. Bedrosian is featured on tracks alongside George Clinton, Sly Stone, the Detroit Symphony Orchestra, Bootsy Collins, Bernie Worrell, Garry Shider, Michael Hampton, Blackbyrd McKnight, Soul Clap, and many more on this milestone album. 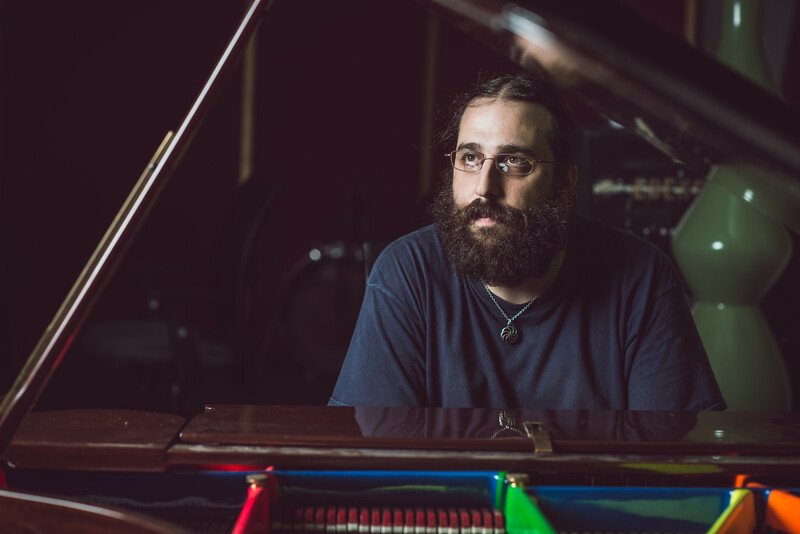 Bedrosian persists as well in his continuing work with Somn Fierce, not to mention his always expanding record and production company, and growing number of Piano shows, returning Bedrosian to his roots. Bedrosian also releases a Solo piano albumthis year, followed by an electronic album, more live albums and a remix album. Beween 2012 and 2014 Danny appeared in four major book releases, further bolstering his career with a further bibliography added to his already vast discography. In addition, Danny was a key part in the release of the first Funkadelic album in 33 years, first ya gotta SHAKE THE GATE, which featured Danny as the most oft appearing member of the band on the album, after, of course, Mr. George Clinton. Danny appeared on 17 of the 33 tracks on that 3 disc masterpiece. Bedrosian’s new endorsement in 2014 with the Novation/Focusrite companies, brought him using the synth as his primary lead instrument, as well as creating sound pack “producer series” patches of his own creations. These would allow fans and aspiring synth players access to now-famous patches that Bedrosian has modeled and pioneered himself, lending just another chord to his already complex tapestry of what is still a young, budding, and yet extremely experienced and well traveled career, in every sense of the term. Danny ended the year playing with George Clinton at the halftime show at the Detroit Pistons Halftime show at the Palace, visiting the famous United Sound Studios also in Detroit, and touring with his band Secret Army in areas from New England to Colorado and beyond. 2015 has brought Danny to even more international releases (Dutch, British, Australian, Italian and American releases) on Vinyl for the first time this year, multiple times, as well as the usual CD an Digital formats. Bedrosian was featured on albums by Gotcha, Space Bugs, Ishan Cooper, Less-on, and George Clinton’s Live at Metropolis (in which Bedrosian performed and sang with Joss Stone and his cohorts in the P-Funk as usual) at one of the greatest and most famous studios in the world. In addition, Bedrosian’s United Kingdom pursuits continued as he performed on Jools Holland’s show (alongside Mumford and Sons, Noel Gallagher and his High Flying Birds, Ghost Poet, Cheeykh Lo, and Kim Wagner), as well as an appearance at the Mighty Glastonbury Festival. George Clinton’s Shake the Gate tour brought Bedrosian to further prominence this year, performing both new songs (which Bedrosian directed a section of the show therein) and P-Funk classics with the band on 4 continents, 14 nations, most of the United States, and beyond, in this one tour alone. 2015 also marked the year Bedrosian performed his long planned Armenian Genocide Centennial Concert in Tallahassee FL, with his new Armenian music Ensemble, which he is keeping together for future performances. The performance was a 2 hour tour de force, with his Dectet playing music spanning 3,400 years of Armenian history, as well as a lecture series by Bedrosian himself, a short film by Jon Milano, and an amazing concert overall. Bedrosian also released his 11th album in 2015, entitled the Clock. In 2016, Bedrosian continued his music career with P-Funk tours all over North America, Europe, East Asia, Southeast Asia, and elsewhere, continuing to carve out a unique niche for himself in the world of Funk, Classical, Jazz, World Music, R&B, and other genres. Alongside George Clinton, he performed and helped orchestrate the Rainbow Concert at FSU, alongside Balinese music expert, published author, and professor Michael Bakan. The concert combined world music with P-funk songs throughout the years and was a true testament to the versatility Bedrosian possesses, handling band directing, Grand Piano, Lead Vocals, Backup Vocals, Arrangements, Keyboards and Synths. Bedrosian’s Tallahassee based trio, Som’n Fierce, had very high profile gigs in 2016, peforming on PBS’ WFSU Local Routes show which has been broadcast to millions multiple times, and a headlining performance at Cascades Park, Tallahassee FL’s largest outdoor venue, to a packed crowd of several thousands. Bedrosian also performed with his band Secret Army on successfull tours in New England. Bedrosian has been working more and more on his roots, Classical Music and Armenian Folk Music and opened with his Armenian Trio for the FSU Orchestra in October, debuting his performance of Khatchaturian’s Piano Toccatta for the first time at said concert, after 11 months of intense study of the piece, which Bedrosian says was the biggest influence on his own compositional style of all time. 2016 also marks the year Bedrosian released his 13th solo album, My Oldest Friend, an organic, funky, soulful take on many of the distinct stylistic sounds Bedrosian has become known for.